Girls!!!! Look what's happening on the 20th of November 2013 !! A Luau Party with Kinohimitsu and the Butterfly Project!! If you love doing the Hula or love Kinohimitsu then this is the party for you! I hope I get invited for this! It'll be the closest to me getting to Hawaii , anytime soon! Click the picture for more details!! 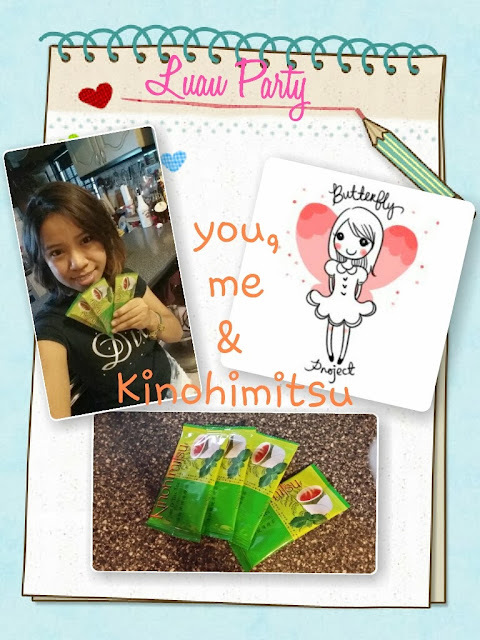 Here's why I wanna party with Kinohimitsu !! A Luau Party with Kinohimitsu and all the other butterflies is something I don't wanna miss out on! & what's better than going to Hawaii? 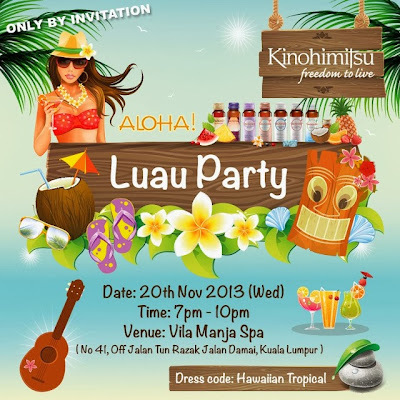 A mini Hawaii right in the heart of Kuala Lumpur! I wanna enjoy the night dressed up in my grass skirt , coconut bra, wearing a lei around my neck , dancing and getting to know the awesomeness of Kinomitsu with the rest of the butterflies. I'm already foreseeing a great night with full of laughter! So, partying with Kinohitmitsu is definitely gonna be the highlight to end my 2013! heheh thank you *blushing* It was so good seeing you last night Sherry!